Its that time of year again! We look forward to this year's spiritual conference here in QLD. Come and join us as we contemplate this important topic together during our presentations, discussion meetings, activities and fellowship together in the beautiful hills of Samford. 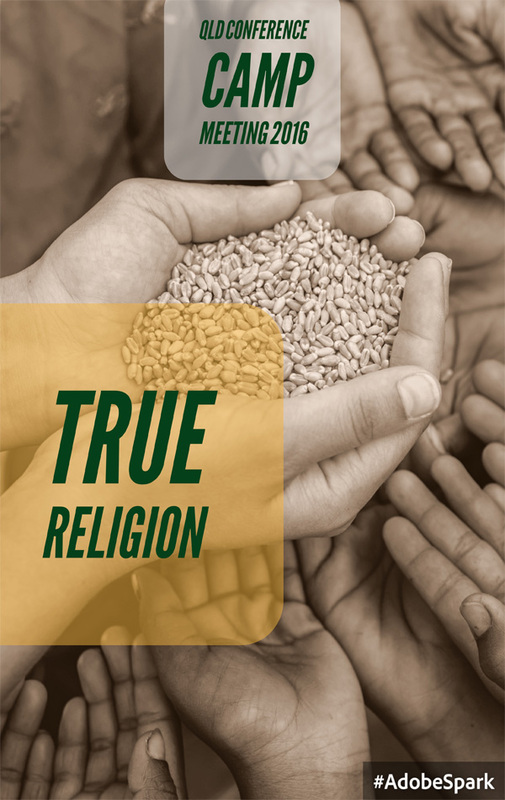 In a world of thousands of ideologies, religions churches and groups, are we aware of what true religion actually is? How do we deﬁ ne true religion? Has religion touched and affected you life as it should? Come and join us as we contemplate this important topic together during our presentations, discussion meetings, activities and fellowship together in the beautiful hills of Samford. Activities will include: Spiritual meetings, discussion groups, walks, orien-teering, water activities. Cabin, bunkhouse or own tent or caravan. Clothing suitable for both Church meetings and Bush walking Bring your canoes and life jackets if you have them.